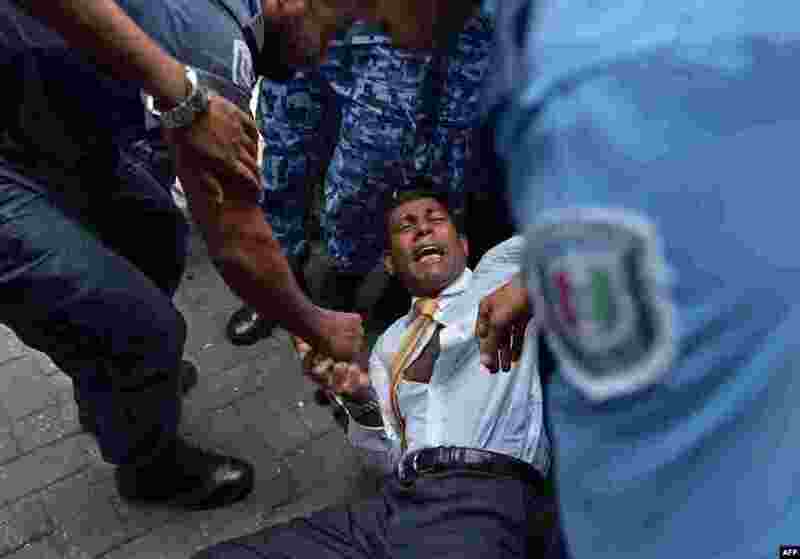 ۱ Maldives police try to move former President Mohamed Nasheed during a scuffle as he arrives at a courthouse in Male. Nasheed was denied bail a day after his surprise arrest on terrorism charges. ۲ NASA astronaut Barry Wilmore works outside the International Space Station on the first of three spacewalks preparing the station for future arrivals by U.S. commercial crew spacecraft. 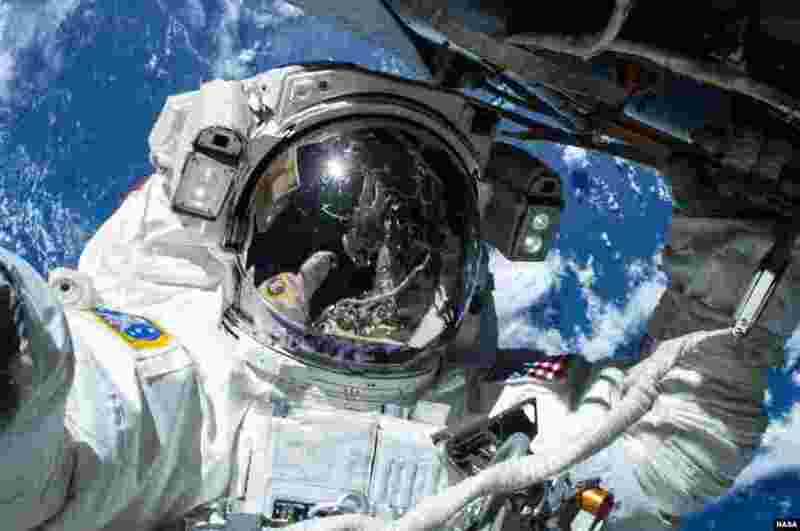 Fellow spacewalker Terry Virts, seen reflected in the visor. 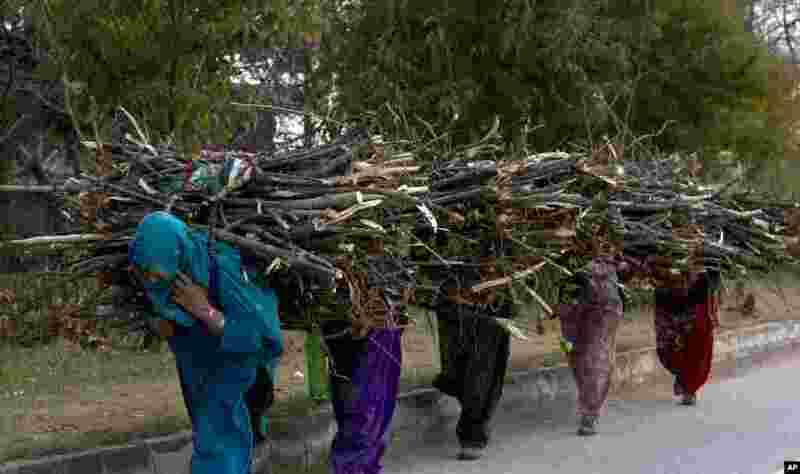 ۳ Pakistani women carry wood they have collected to be used as fuel for cooking and heating, in Islamabad. 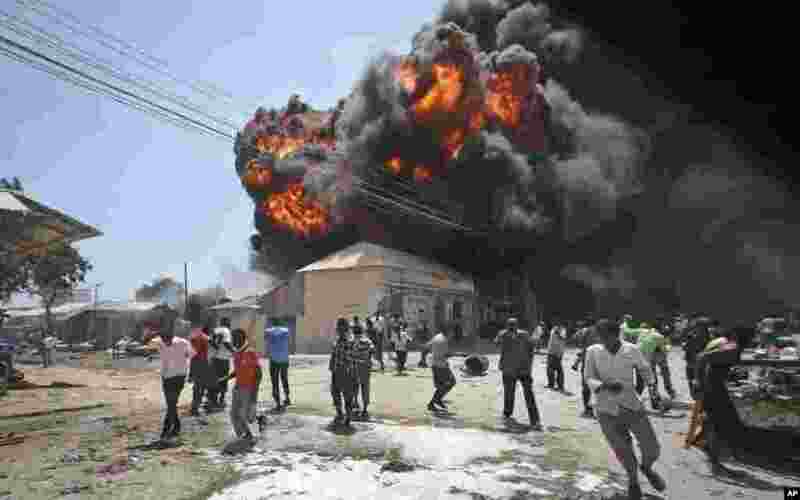 ۴ Somalis run from an explosion during a fire that engulfed a fuel market, causing extensive property damage but no loss of life, in the Hodan district of the capital Mogadishu.